It wouldn’t feel quite right if Liverpool weren’t making things difficult for themselves and proving to be responsible for thousands of stressed fans in the process. Six points from the final two games of the season is a daunting task but one this group of players should be capable of achieving. If the Reds needed a reminder of what not to do in their final Champions League run-in, yesterday’s goalless draw against Southampton was exactly that. An uninspiring, dull and lifeless performance that will hopefully, emphasis on the hopefully, unearth an explosive, aggressive and breathtaking display against West Ham next week. 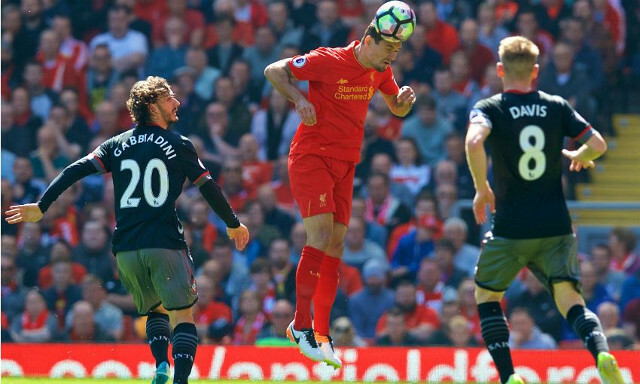 Reacting to Sunday’s setback, Dejan Lovren has set out a clear yet by no means straight forward objective. Win. “We could win today but football is unpredictable.We have, I would say, not problems against Southampton, but we can’t find the goal. [It’s] definitely a big disappointment,” the defender told Liverpoolfc.com. A target easier said than done but one that needs to be met given the potential for Arsenal to kick on from their impressive 2-0 win over Manchester United yesterday. To fall short so late on in the season would be devastating. It is for the sake of not only playing in the Champions League but for the confidence of this team that it is so important the players see the task through. West Ham will still be on a high after their win over Tottenham and Lovren and his teammates will need to be back to their very best in what could be a make or break game.